Our next idea is another cool lob. 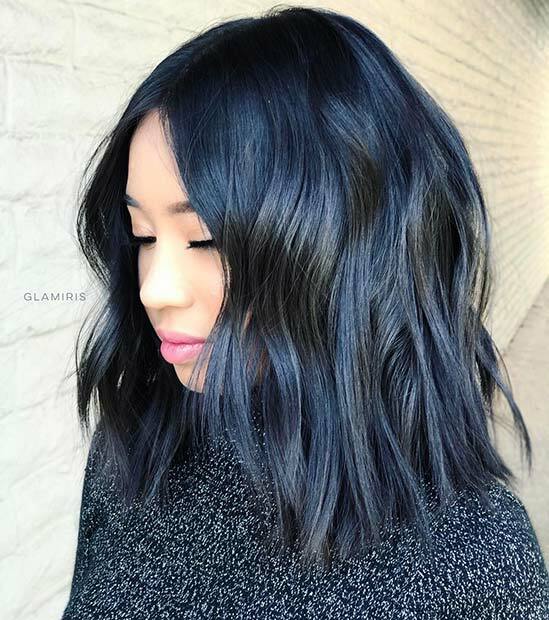 The hair is very dark at the root and then turns into a trendy black blue color. 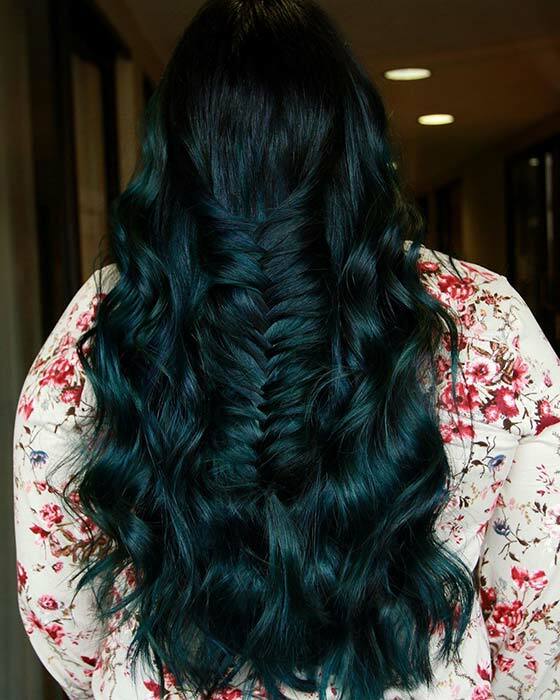 You can recreate the whole look or this color will work beautifully on long hair too. This is a stylish cut and it reminds us of the character Coraline’s hairstyle. It is the perfect style for someone who likes to be unique and stand out from the crowd. The next hairstyle we have to show you is just wow! 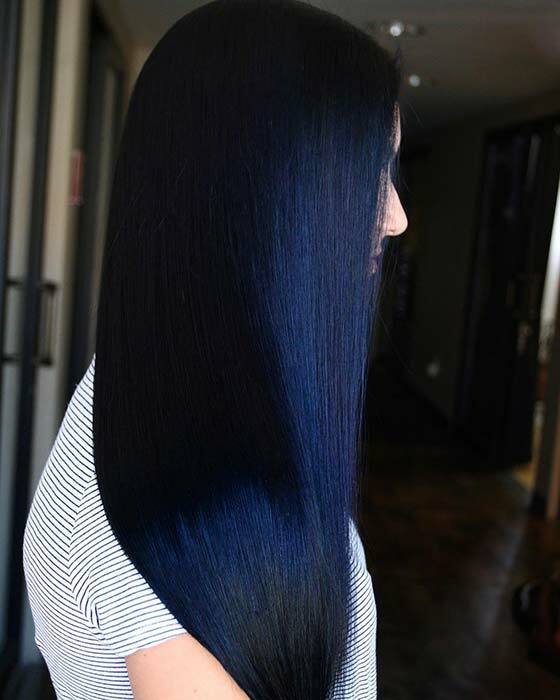 The sleek and straight hair is a dark, black blue color that reminds us of the night sky. 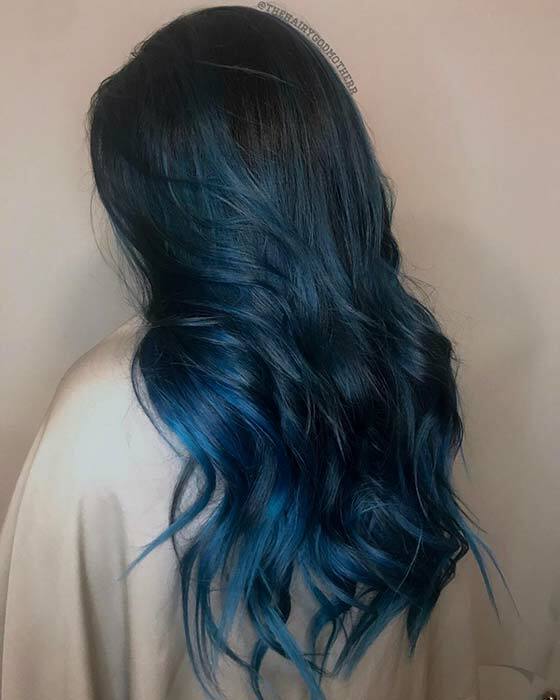 This is another style where the hair looks dark in low light and more blue in brighter light. It is a stunning hair idea that we had to share! Next, we have another denim color. This one is a little lighter than the denim shade we featured earlier. It is also an all over color to instead of ombre. It just shows how you can create awesome, different looks with similar colors. We love this hair and is great for letting out your inner rock chick. 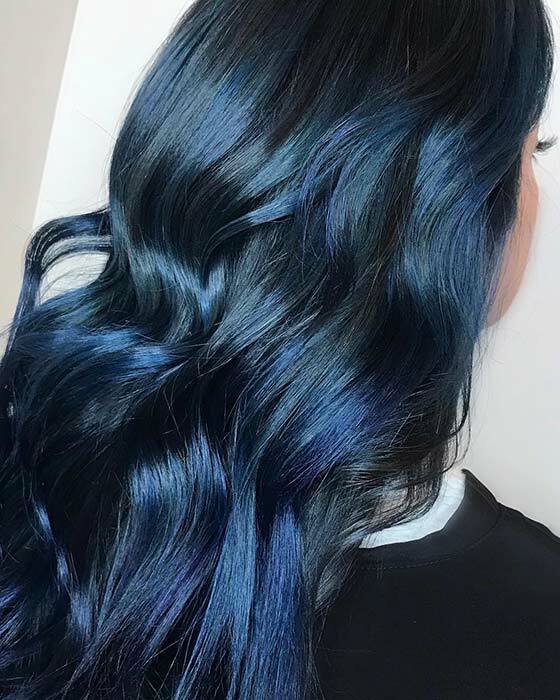 You can add other shades to your blue black hair. Here is a great example. The hair has a color blend of black, blue black and light blue. Try a hairstyle like this if you want vibrant and trendy hair that will transform your look. You can also have a cut like this or try the blend on longer hair. Give your hair a magical transformation with this next idea. This blue black look has been described as Dark Magic. 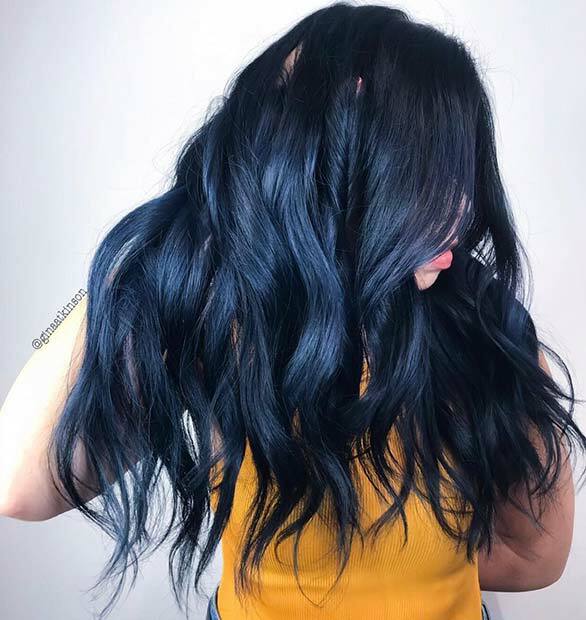 It is a gorgeous blue black color with navy tones. This is one of our favorites out of the whole list and you can check out what the stylist used on the page below. Earlier we featured a trendy hairstyle with a fringe. If you loved that look, you may like this one too. The hair is shorter here and is more of a bob cut and the color used has a subtle blue tone. Hair like this is perfect for trendsetting, edgy ladies. Next, we have a dark to light look. 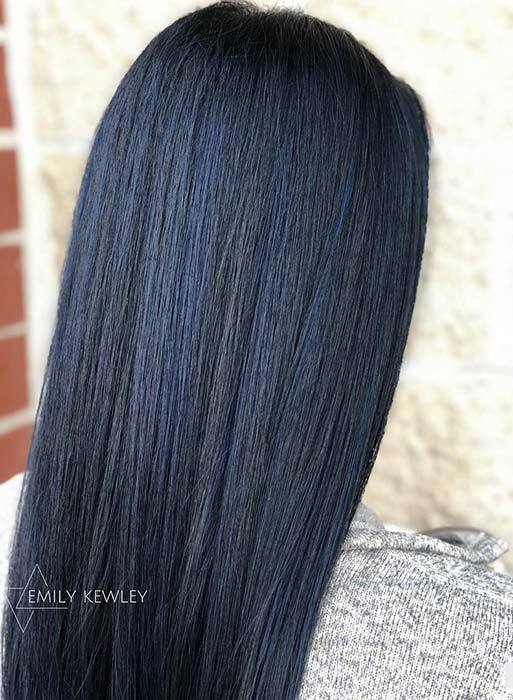 The hair starts off black, then changes to blue black and then finally the hair turns into a light blue towards the tips. It is a beautiful color blend and it will look stunning on anyone. You can recreate this look or add an even lighter blue tone at the tips. 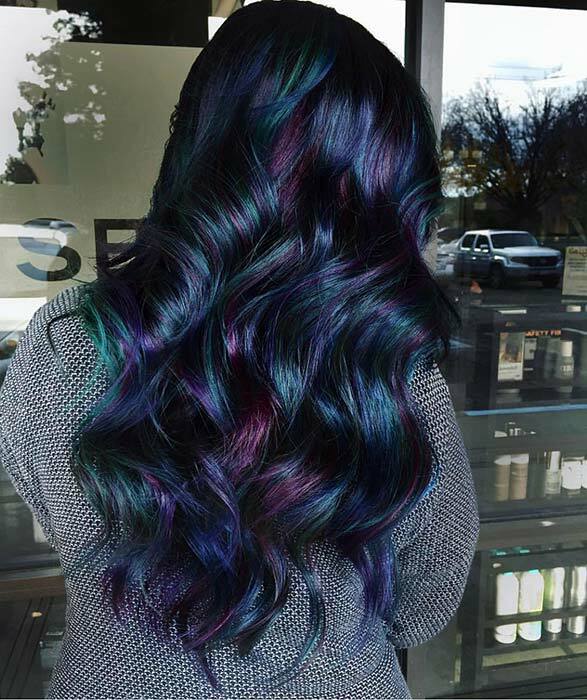 Another cool color blend to try is blue, black and purple. This hairstyle is a beautiful example. The hair features black, blue black, purple and some lighter tones. As you can see, purple compliments the darker colors perfectly. You can also try lighter purple with a blend like this. You can use other blue tones with black, too. It doesn’t just have to be colors like the bold, navy blues. You can choose a teal shade like this. The hair starts off black and then blends into a teal black. Teal is another color that goes very well with black. We love this idea. Our next idea is a stunning color that has been described as Deep Midnight Blue. This black blue color is very dark and subtle. It is a beautiful color that would look amazing on anyone. This black blue is a great choice for someone who only wants a subtler shade of blue. Next, we have this cute and stylish idea to share with you. 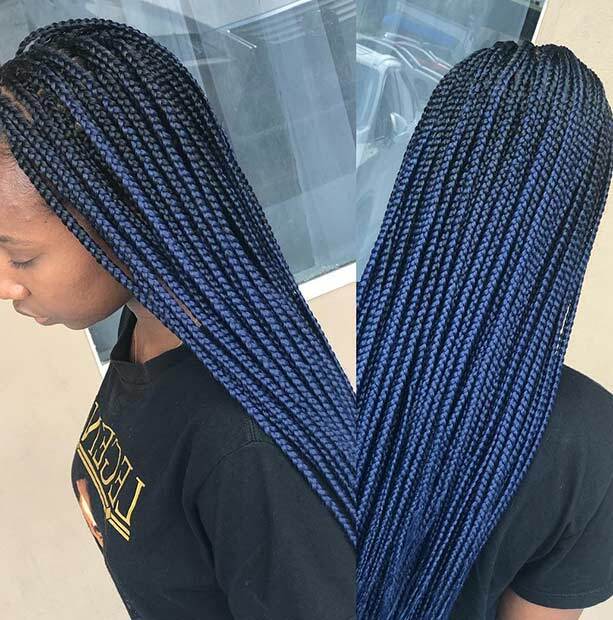 This protective style features blue black box braids. 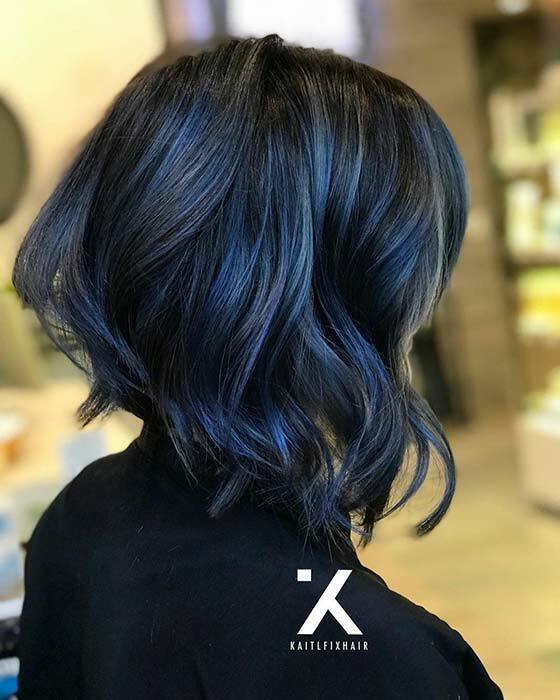 The hair starts black then gradually blends into a dark blue shade. This is a unique and cool color idea. You can try this look or be bold and try a different combination of black and blue colors. Teal would be a stylish choice! Love the dark, navy blues? Then this idea is for you. The hair is all a navy blue black. As you can see, it is a super stylish color. You can check out the colors and products used to create this look on the stylist’s page featured below. A color like this will suit any hair length and style. 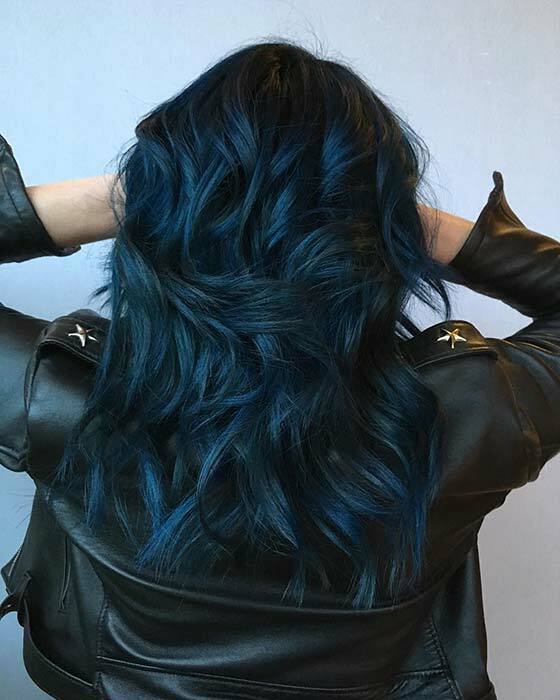 The last hairstyle we have to show you is this trendy blue black idea. 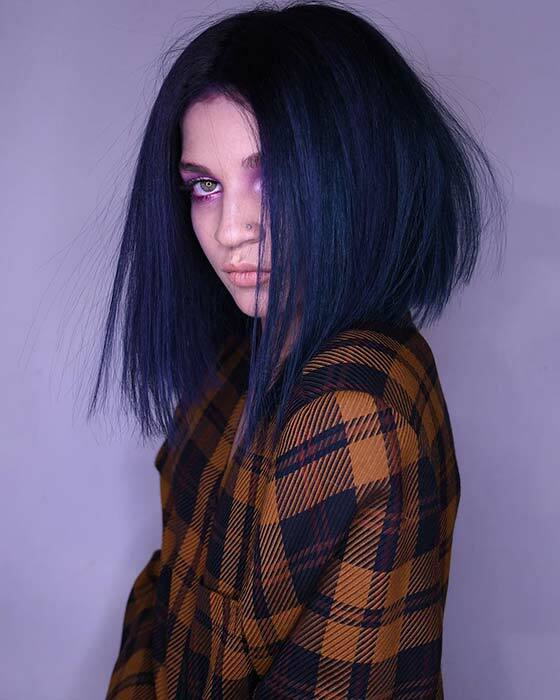 For this look, the hair is very dark and looks almost all black but there is a very subtle blue tone to the hair. 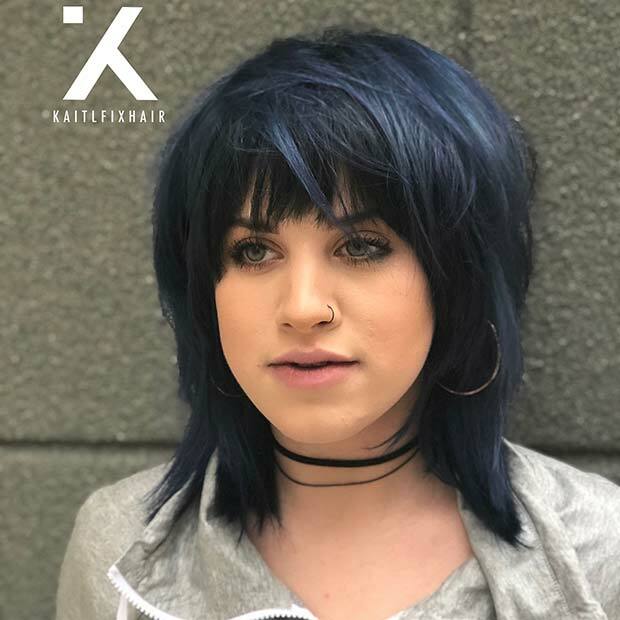 This is a great color choice for someone who wants to add blue to their hair without being too over the top. It is a gorgeous hair idea! 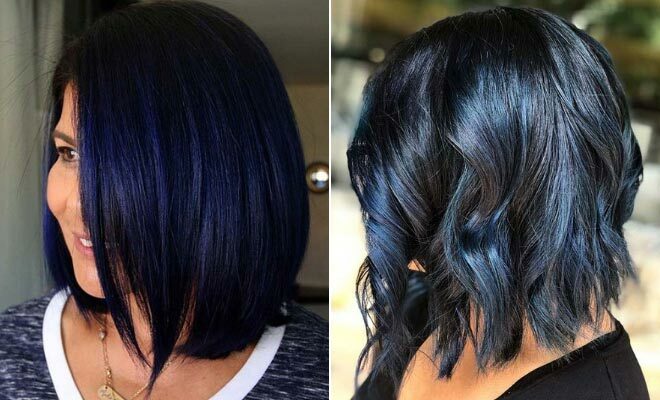 We hope you have found a cool blue black hairstyle to try!